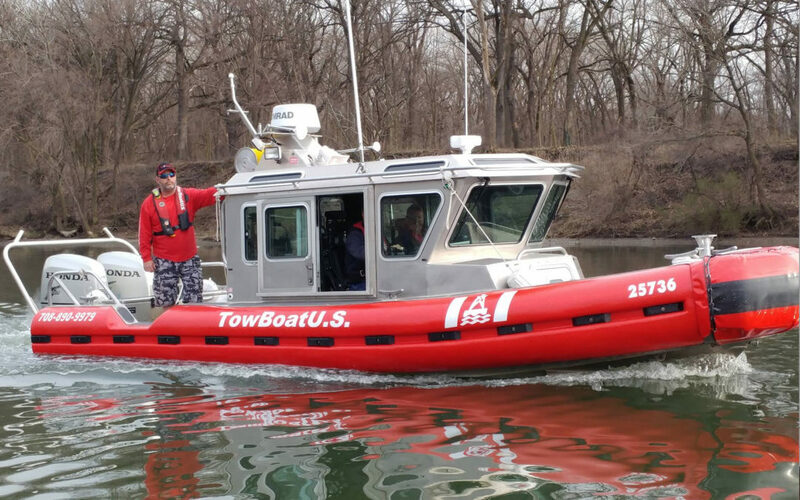 Captain Gareth Stamm, who began operating TowBoatUS Joliet on the Illinois River last year, has extended his service westward, with the opening of TowBoatUS Starved Rock, an on-water towing and assistance service for recreational boaters. “This is an incredibly popular recreational-boating area,” Stamm said, noting that his Joliet base was too far away to give Starved Rock boaters the prompt help they needed. His service area now stretches along the Illinois River to Hennepin, Ill., a distance of nearly 100 miles. A December call helped motivate Stamm to expand his territory. A boater, who was traveling from the Great Lakes to points south unwisely late in the season, sought TowBoatUS help when his engine quit. “It was out of our area,” Stamm said, “but we knew we could help.” TowBoatUS Joliet trailered a response boat to a nearby launch ramp and headed out to assist. “We were breaking ice on the river to get to him,” Stamm recalled. They safely towed the 30-foot boat to safe harbor where it could wait out the winter and get service. 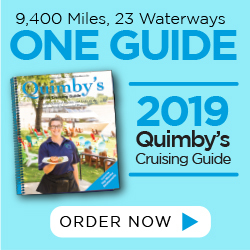 In warm-weather months, the river, which Stamm calls a “ribbon of water,” is filled with local recreational boats of all kinds, from small fishing and water-ski boats to luxurious cruisers and through-travelers who are circumnavigating the Eastern U.S. as part the Great Loop cruise. The river, which is also a major commercial waterway with a system of locks and dams, can be challenging at times. Stamm and his Coast Guard-licensed captains are there to help 24/7 with an emphasis on safety. TowBoatUS Starved Rock has a 25-foot SAFE Boat, which has a welded aluminum-plate hull with hard foam sides, like those used by the Coast Guard. It is powered by twin 225-hp Honda outboard engines and it is based at Heritage Harbor in Ottawa. TowBoatUS Joliet has a 25-foot welded aluminum Sea Ark workboat with a 300-hp inboard stationed in downtown Joliet near Brandon Road Lock and Dam. Stamm keeps a 22-foot StarCraft outboard-powered center console on a trailer so it can be quickly deployed anywhere it’s needed. All three boats are painted bright red with the TowBoatUS name and logo emblazoned in white on the hulls. They are fully rigged for towing and salvage, with powerful pumps, battery jump packs, dive gear and extra fuel. Boaters can reach TowBoatUS Starved Rock and Joliet by hailing on VHF channel 16, by tapping the all-new free BoatUS Smartphone App, by calling the company directly at 708-890-9979, or by phoning the BoatUS toll-free 24/7 Dispatch Center at 800-391-4869.